Today I am thankful for pasta. I have always been a lover of carbohydrates, which certainly is no secret to the people who know me. And whereas many people are quick to say that they have a sweet tooth and have a hard time saying “no” to sweets, I would gladly bypass a table full of sweets just to get to one spoonful of some type of carb. 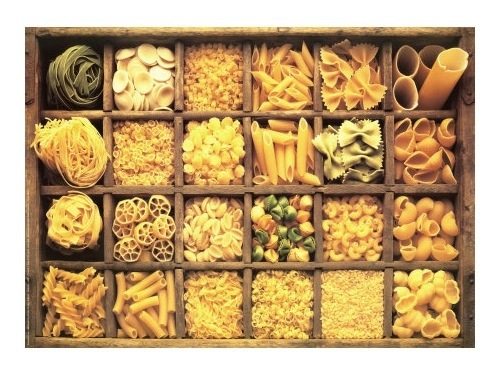 Now I appreciate various carb-heavy foods like breads, rice, cereal, and potatoes, but pasta is likely my favorite of the inhabitants of the carb world. When I am in the mood for comfort food my mind often becomes bombarded with thoughts of baked macaroni and cheese, fettuccini alfredo, and, of course, my grandmother’s rice. Just thinking about these wonderful dishes is already making me hungry. And though I know that carbs are best when consumed in moderation, I admit that I can easily make a meal out of a steaming hot bowl of farfalle tossed with a little yellow curry, sugar, oregano, basil, grilled chicken, and extra virgin olive oil, one of those dishes that I developed one day when the desire for comfort food to satiate my hunger suddenly overwhelmed me.